A new headboard can really transform the whole feel of a bedroom. Headboards don’t have to be expensive, in fact, they make an excellent DIY project. They are often much easier than you would expect to make. 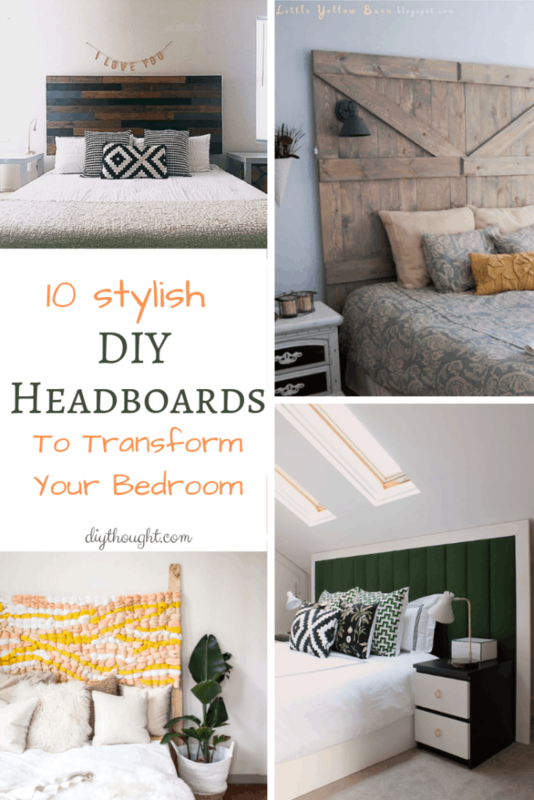 Today we have found these 10 stylish DIY headboards to transform your bedroom that we know you will love. 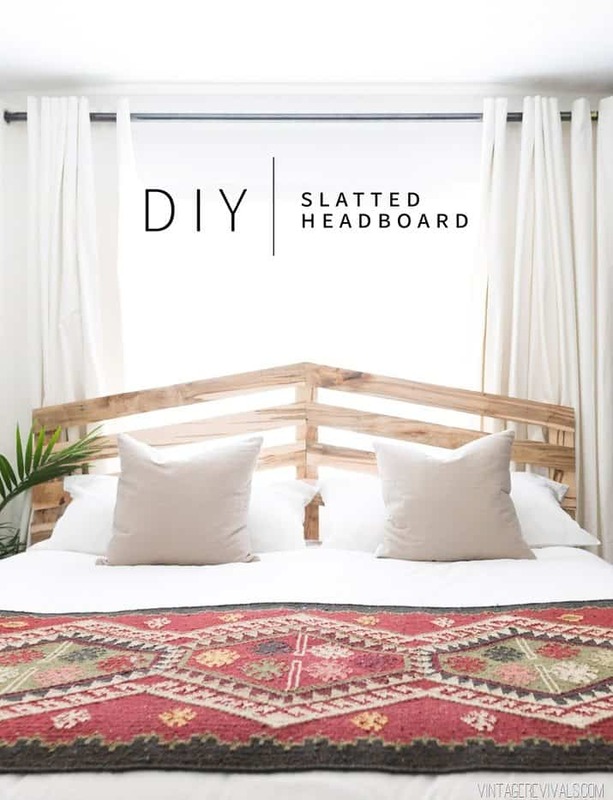 This is an awesome and unique headboard which is made by gluing wood shims onto a DIY headboard base. It looks great left natural but it can also be stained or painted to suit your bedroom. Visit Better Homes & Gardens to get the full tutorial. 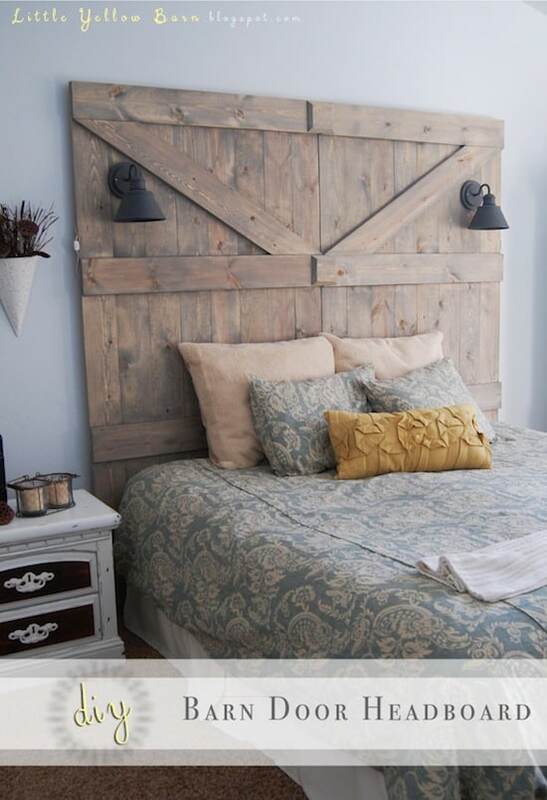 This barn door headboard is truly a show-stopping piece. The addition of the lights adds another element of interest but these are totally optional. 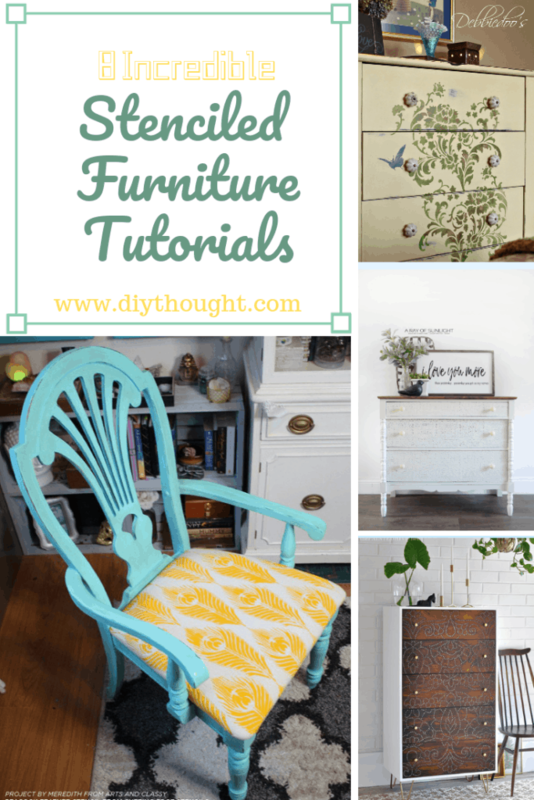 Head over to Little Yellow Barn to read the detailed tutorial. This has got to be one of the prettiest headboards around. We are loving the fabric used, it is shouting SNUGLY SLEEP! This is a great tutorial by Mr. Kate that is useful to read before embarking on any scalloped headboard. Stylish and modern this Live Edge Headboard is certain to make any bedroom look ultra cool. A great beginner headboard which can be made in a couple of hours! Classy Clutter has all of the details needed to make it. 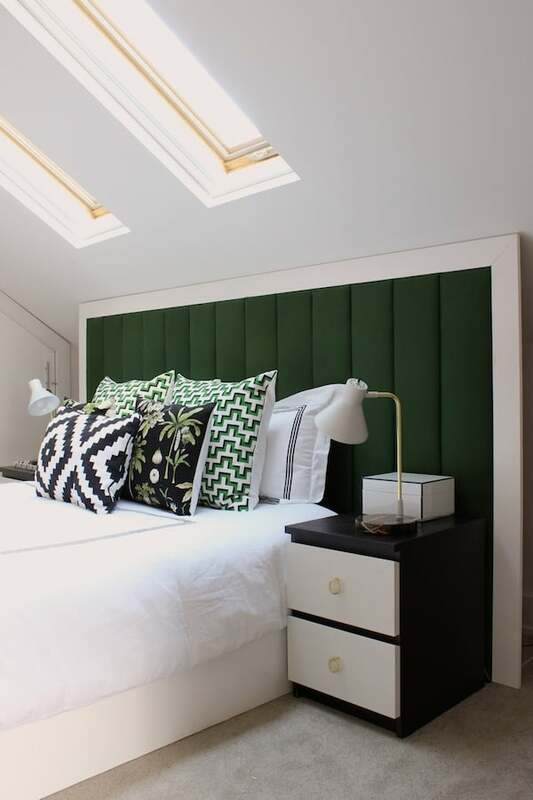 This incredible headboard has been made by upholstering 1x8s before placing them next to each other and framing. The color used gives the headboard a sophisticated look and is totally drool-worthy. Click here to read the full tutorial. 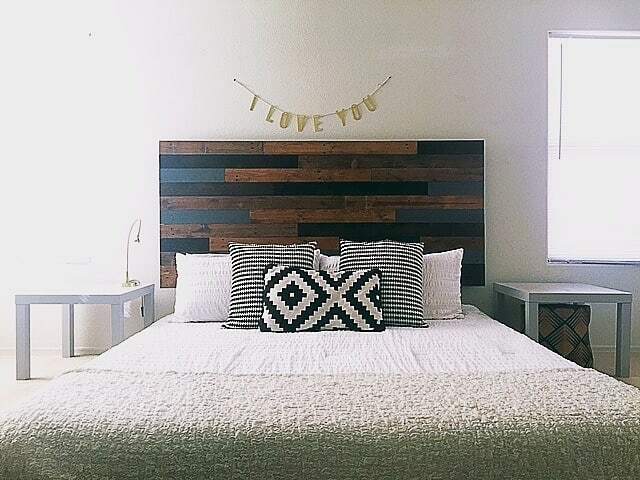 This stylish headboard has been made from recycled pallets. Using pallets is a great way to update a bedroom without spending much money. Visit DIY Average Jo to read the tutorial. A woven headboard looks complicated to make but really it is fairly simple. 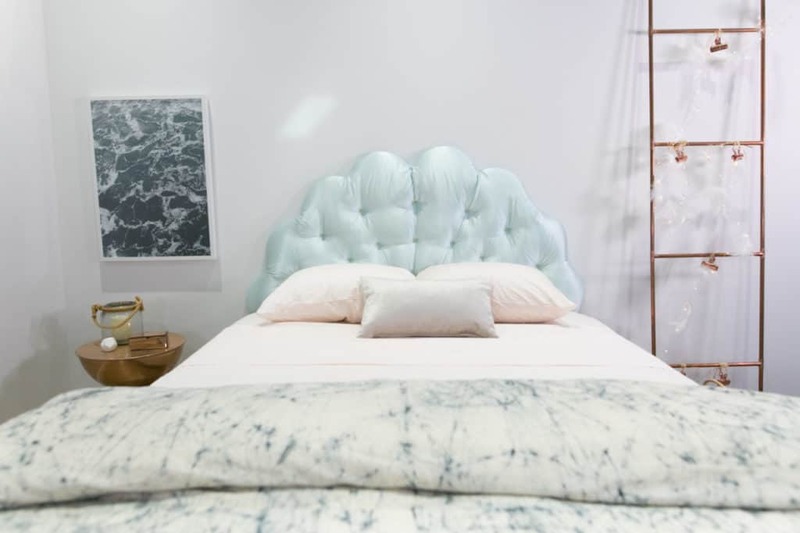 This headboard is totally sleep inducing! Follow this link to read the full tutorial. Designed to go in front of the window so light could come in this is a sleek modern headboard. 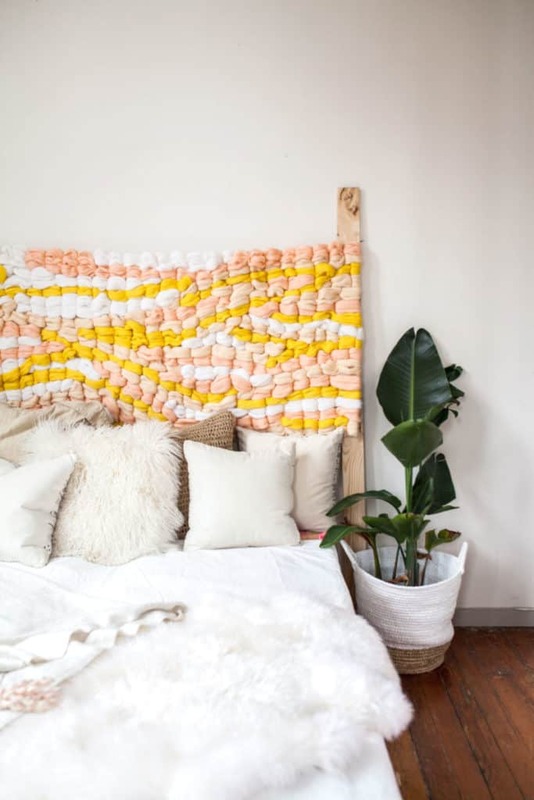 The headboard is strong and affordable to make. What’s not to love! Head over to Vintage Revivals to find out more. 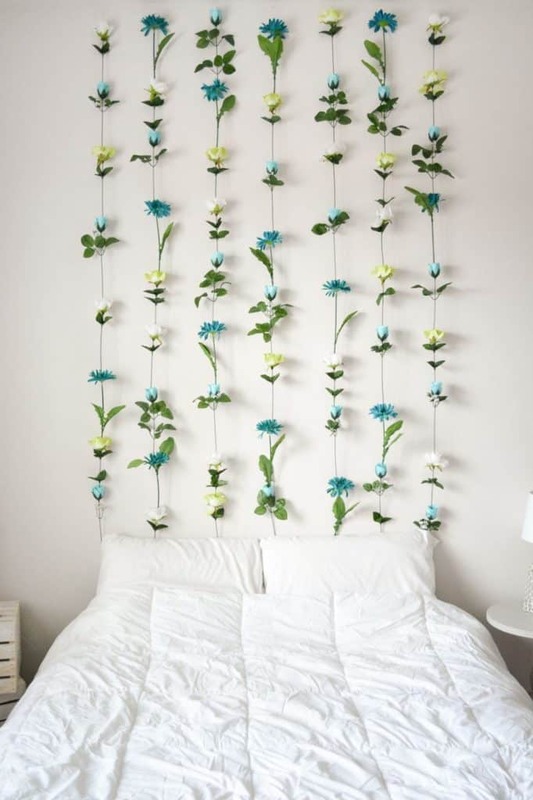 It doesn’t get much easier than this flower headboard/ wall decoration. The flower headboard is perfect for a kids or teens bedroom. Visit Sweet Teal to find out more. 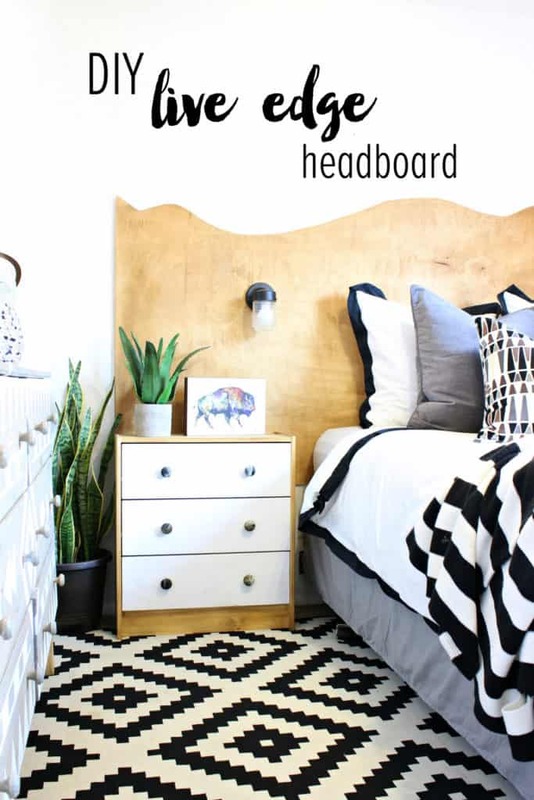 The pegboard headboard is stylish and functional. Style it in different ways depending on your mood and needs and it is super easy to make! Sugar And Cloth have all the info you need to make your own.